Leg-spinner Will Beer has signed a new one-year contract with Sussex. Beer, 29, has been at the club since he was 10 and has taken 153 wickets in 166 matches across all three formats. 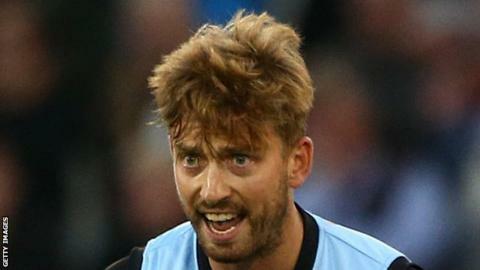 He took seven wickets in nine T20 Blast matches last season, as well as making three appearances in the One-Day Cup and one in the County Championship. "I am looking forward to kicking on from last season and hopefully bringing success and silverware back to Hove," he told the club website. Beer follows Chris Jordan, Luke Wells, Jofra Archer, Michael Burgess, Delray Rawlins, Abi Sakande and Stu Whittingham in signing new deals at Sussex.